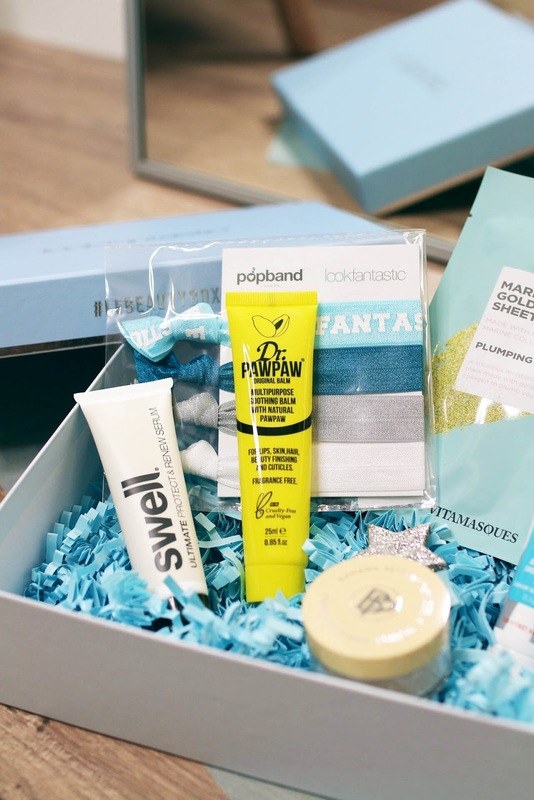 New Year - New LookFantastic Beauty Box! The January box has finally arrived following the motto: Clean Beauty. With the new year always comes the opportunity to discover a whole lot of amazing beauty items and what better way to kick-start 2019 than with a good old health detox using clean beauty product. LookFantastic are offering six beautiful products to help inspire you to consider a new healthy and clean daily beauty routine. Read on to find out everything about this months box. The first product is something I have always wanted to try since I had heard multiple beauty bloggers and friends raving about it. The Dr. PAW PAW Original Clear Balm is an award winning multi-purpose balm that contains natural healing properties. This balm is designed to deeply nourish the lips which is something I desperately need during winter. My lips get very chapped and dry so I'm excited to give this a go. I love that it is fragrance free and you can use it not only as a lip balm but also for cuti-cles, dry skin or on damaged hair. Next up you'll find a collection of different coloured Popband Active Hair Ties inside this box. Those hair bands are designed to leave your hair kink free made, from a wide elastic, that helps to style your hair comfortably. I think these hair ties would be perfect for the gym or to wear at night. Sticking to the topic of hair, you also get a sample of the Swell Ultimate Protect and Renew Serum which is perfect for creating sleek, smooth and hydrated hair. This serum has a silicone-free formula that controls frizz, reduces the appearance of split ends and overall creates a glossy look. The next product is a face mask for your next pampering session. I have never tried the Vitamasques Gold Dust Sheet Mask before but I'm very excited to give it a try. I'm always super happy whenever I receive a new mask since I use them literally every week. This one is inspired by Korean skincare, made with gold dust to give your skin the ultimate treatment. Especially during winter my skin can use that little bit of extra moisture and hydration. Speaking of hydration, you also get a sample of the First Aid Beauty Coconut Skin Smoothie Priming Moisturiser which is an oil-free, coconut water-infused complexion enhancer that helps to brighten, moisturise and smooth the skin. I'm keen to give it a go. Moving on to makeup, the last product is the Bellapierre Banana Setting Powder, which is a powder I have used before and I really liked it. This is a yellow-toned correcting powder for brightening the skin. I find that it sets the concealer under my eyes in place nicely. Have you guys received the new January Beauty Box yet? Let me know your thoughts in the comments below.